Using her amazing vocal talents, senior Sabrina Uriegas, won a $5000 scholarship, a trip to New York and the chance to participate in the National High School Theater Awards held in NYC this summer. 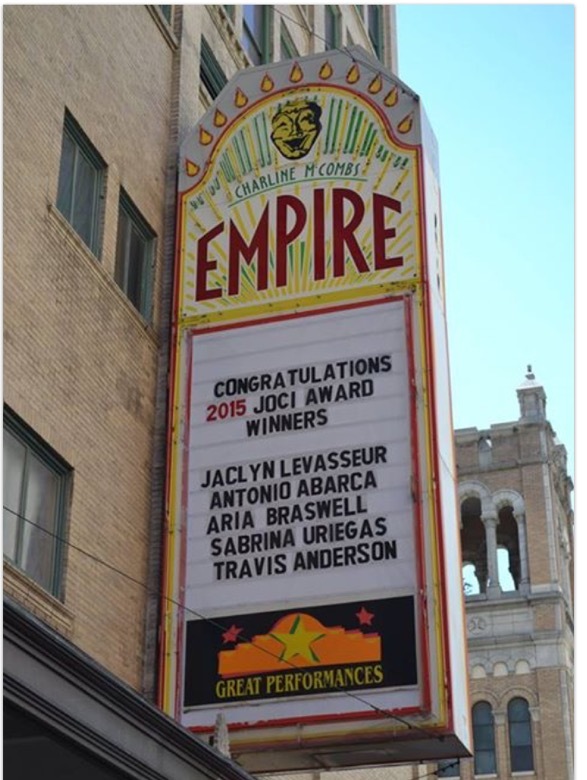 On Sunday, April 26th, senior Sabrina Uriegas competed in the Las Casas Preforming Arts Scholarship Competition Joci Awards at the Charline McCombs Empire Theater in San Antonio. Since its inception, Las Casas Performing Arts Scholarship Competition has awarded nearly $500,000 in scholarships to deserving theatre students. Each year, nationally-acclaimed theatre professionals select scholarship winners based on their performances. Las Casas Performing Arts Scholarship Competition serves as a Regional Award Program (RAP) for the National High School Musical Theater Awards, a national celebration of outstanding student achievement in high school musical theater. Sabrina competed in the National High School Musical Theater Awards/Jimmy Awards division performing a selection from Beauty and The Beast called “A Change In Me”. 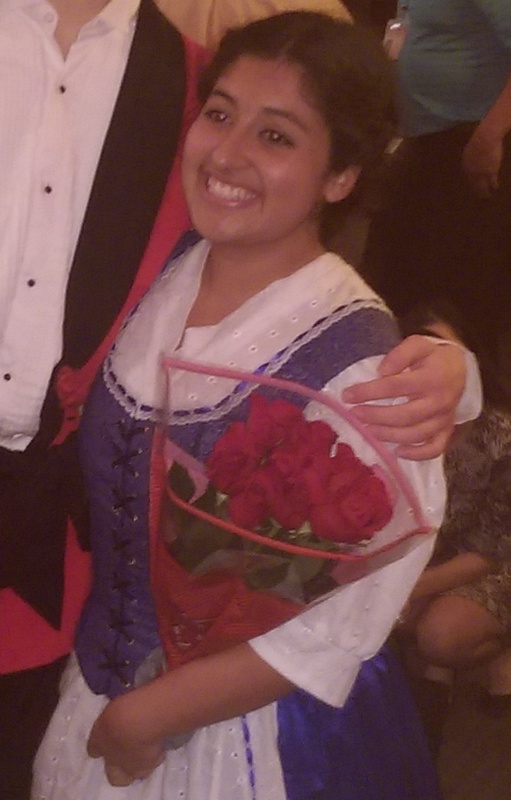 After her stellar heartfelt performance Sabrina was chosen as the female finalist. She received a $5000 scholarship and the opportunity to represent the Las Casas region in the National High School Musical Theater Awards competition in New York City in the summer of 2015. 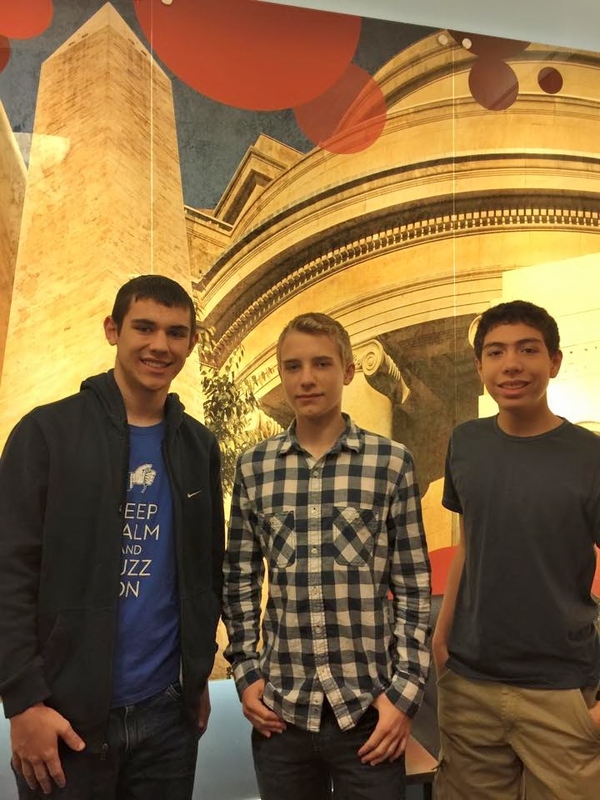 On the weekend of April 25-26 the Savio Quiz Bowl team sent Eleazar Camez, Nicholas Isakson, and Daniel Jilek to Washington, DC to compete in the JV division of the National History Bowl. There were a total of 90 teams from all over the nation involved in the event. The day prior to the bowl Daniel competed in an individual event, the National Geography Olympiad. The event consisted of both a written portion and live-action buzzer portion. Daniel got off to a relatively slow start, finishing 22nd out of 78 and 33rd out of 78 in the two written sections. But he excelled in the four buzzer rounds, finishing 8th out of 78. His combined score was good enough to place him in the playoff round. In the playoffs the competitors were split into two semi-final groups and continued with buzzer play. Daniel was the first player in his group to correctly answer 8 questions, advancing him to the final round! But in the final round Daniel was not one of the first three players to answer 8 questions, so he finished tied for fourth place. It was a great way to start off the weekend. On Saturday morning the bowl competition began. The teams were divided into 15 groups with six teams in each, and played one match against each of the other five teams. The Eagles' morning group included #2 ranked High Tech from New Jersey, #32 ranked Saratoga B from California and unranked teams from LaSalle Peru Township of Illinois, Ransom Everglades from Florida, and WIT Home Educators from Virginia. The Eagles were ranked #29 going into the competition. The Eagles went 3-2 in their morning matches. They won convincingly over LaSalle Peru (290-70) and Ransom Everglades (250-130). Their match against WIT Home Educators was a nail biter with the score tied at 170-170 going into the final question. Eleazar Camez buzzed in with the right answer and Savio claimed a 180-170 win. Though they lost to High Tech (250-140) and Saratoga B (290-130), the Eagles put up a good fight. In the end High Tech and Saratoga B both advanced all the way to the semi-finals, where Saratoga B won and went to the championship match. They fell to #1 seed Hunter College Prep of New York in the finals. The third place finish from the morning session was good enough to advance the Eagles to the upper divison of the competiton in the afternoon. They played five more matches in the afternoon against #3 ranked Eastern Washington Homeschool, #14 ranked Team Andy Huff from St. John's in Houston, #21 ranked Centennial A from Maryland, unranked Alagar Homeschool from Pennsylvania and unranked Thomas Jefferson from North Carolina. Both Eastern Washington and Andy Huff lived up to their rankings as they beat the Eagles by scores of 380-160 and 340-160. Savio was within striking distance going into the final question against Centennial. But the team from Centennial beat the Eagles to the buzzer and prevailed 230-200. The Alagar Homeschool team surprised the Eagles a bit and beat them 260-160. But in their final match the Eagles prevailed over Thomas Jefferson by a score of 230-160. With just a 1-4 record in the afternoon round the Eagles finished in a tie for 33rd place, narrowly missing out on going to the single elimination playoff round of 32 teams. Daniel Jilek led the scoring for the Savio team with 80 points per game, including 10 powers. In addition to High Tech and Saratoga who went to the final four, several of the Eagles' afternoon group opponents fared well in the playoff round, too. The Alagar Homeschool team that surprised the Eagles also surprised the #4 seed Team Borecki from Connecticut before finally losing in the round of 16 to the #13 seed from Sunset, Oregon. Team Andy Huff made it to the round of 16 as well, falling to the #5 seeded Thomas Jefferson of Virginia. Eastern Washington Homeschool survived until the final 8 before falling to #2 High Tech. 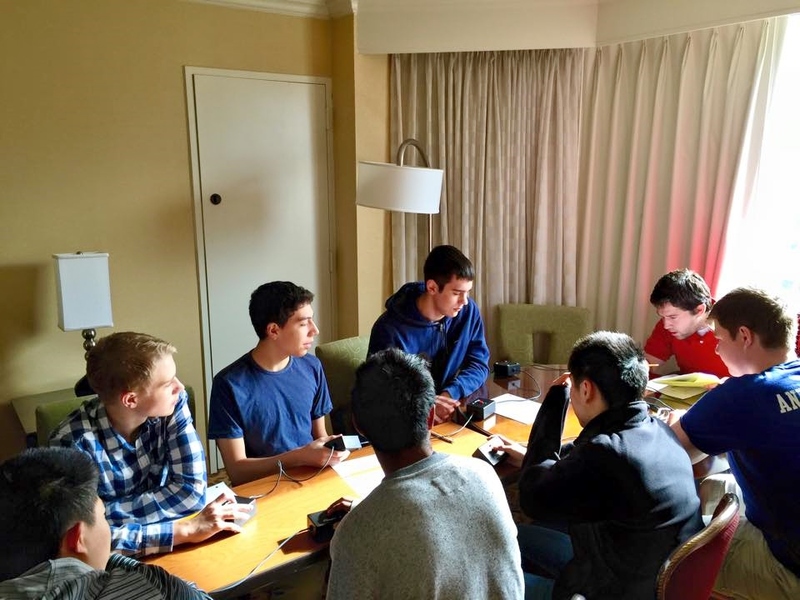 With no playoffs the Savio team enjoyed a relaxing Saturday evening, and then got up ready for the individual history bee events on Sunday morning. Nicholas competed in the consolation bee while both Daniel and Eleazar competed in the JV history bee championship. There were a total of 188 students in the event, and after the six preliminary rounds Eleazar finished in the top half, but not in the top 32, meaning there would be no playoffs for Eleazar. Daniel, however, was right on the bubble. He and seven other players were tied with 45 points each. The eight players competed in a sudden death tie-breaker to determine which four of them would make the field of 32. Daniel got in several good buzzes, but was not able to produce the correct answers. In the end he was not one of the four to make it into the playoff field, and his day ended. But tied for 33rd place out of 188 competitors at a national event was quite a good result. We are all very proud of Daniel and the whole team. The Savio Quiz Bowlers' season is now over. They will take a few weeks off but will have some practices over the summer. Several members of the team will be attending Quiz Bowl camp in College Station in July. The team looks forward to an influx of talent in next year's ninth grade class. But players from any class are invited to come to a practice and catch the Quiz Bowl bug. Today the Holy Family string orchestra and band combined with the Savio wind ensemble to perform spring concert selections for the Holy Family 4th and 5th grade students. It was a great concert and everyone enjoyed the musical moments shared. This completes the Savio music department's middle school recruitment concert cycle for this year. We look forward to the incoming freshman music students for this upcoming school year! Office of Catholic Schools asks for family participation in survey! As part of the ongoing commitment to implementing the Catholic schools strategic plan and improving Catholic school education throughout the Diocese of Austin, the Office of Catholic Schools (OCS) is looking to you for assistance. The OCS is currently researching and studying the many changes taking place in the eight counties of the diocese where there is a Catholic school. These include changes in population, the racial/ethnic profile of our communities, socio-economic status, educational expectations, and innovative trends. As part of this important process, the OCS is inviting you to participate in this effort. To that end, the OCS has prepared an online survey addressing your choice of education for your children. Through the survey, the OCS hopes to understand why parents choose to enroll or not to enroll their children at a Catholic school. The OCS is also interested in future directions for enhancing the learning experience for the children in our schools. The OCS offers you, in advance, its appreciation for your willingness to share your thoughts and opinions by completing the online survey. Your insights are valuable and will assist the OCS immensely as it continues to plan for the future. 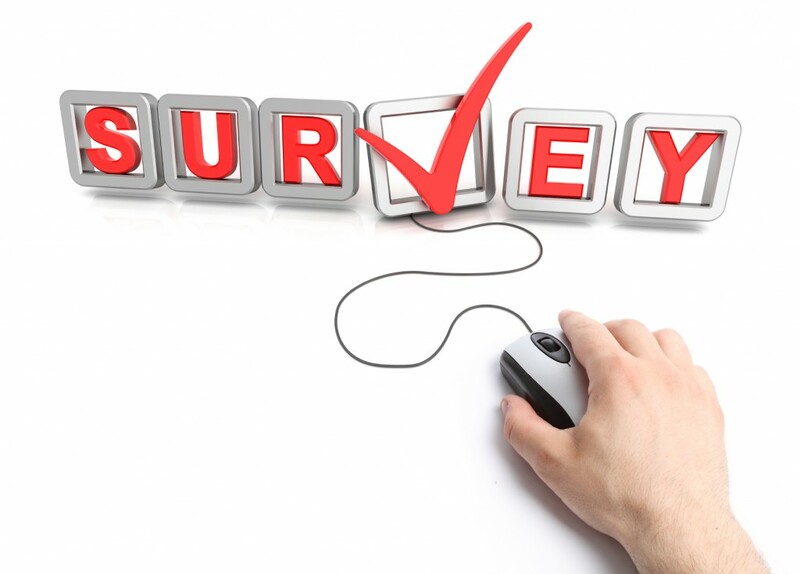 Please visit the www.csdatx.org website to complete the survey. Please complete the survey by Monday, May 18. Como parte del compromiso en marcha para implementar el plan estratégico de las escuelas Católicas y mejorar la educación en las escuelas Católicas a lo largo de la Diócesis de Austin, la Oficina de las Escuelas Católicas (OCS por sus siglas en inglés) necesita de su ayuda. La OCS se encuentra investigando y estudiando los muchos cambios que están ocurriendo en los ocho condados de la diócesis en los que existe una escuela Católica. Estos incluyen cambios en la población, el perfil racial y étnico de nuestras comunidades, el estatus socioeconómico, las expectativas educacionales y las tendencias innovadoras. Como parte de este proceso importante, la OCS los invita a participar en este esfuerzo. Con ese propósito, la OCS ha preparado un cuestionario en línea sobre sus preferencias de educación para sus hijos. A través del cuestionario, la OCS espera entender por qué los padres escogen inscribir o no inscribir a sus hijos en una escuela Católica. La OCS también está interesada en las direcciones futuras para mejorar la experiencia de aprendizaje para los niños en nuestras escuelas. La OCS le ofrece, de antemano, su apreciación por su disposición para compartir sus pensamientos y opiniones al completar el cuestionario en línea. Sus comentarios son valiosos y ayudarán inmensamente a la OCS mientras continúa planeando para el futuro. Por favor visite el sitio de internet csdatx.org para completar el cuestionario. Por favor complete el cuestionario antes del Lunes 18 de mayo. The Savio Jazz Combo traveled to St. Louis Catholic School on Monday, Apr 20, to perform jazz standards for their entire 5th-8th grade student body. There were many St. Louis students interested in attending Savio and possibly joining our music program. It was a fun afternoon for everyone involved! We have our final middle school music concert next week. We will be bringing Holy Family students to Savio and performing for them on Tuesday 04-28-2015! We are proud to announce the college acceptances for our members of the Savio class of 2015. 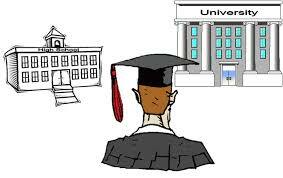 See the list of colleges HERE. Please pray for our students as they discern where they plan to attend college in the fall. The Savio Track Team blew through the District competition at St. Michael's like a passing train. Our athletes placed in every event they entered and seventeen of them placed highly enough to continue through to Regional Competition next week in San Antonio. 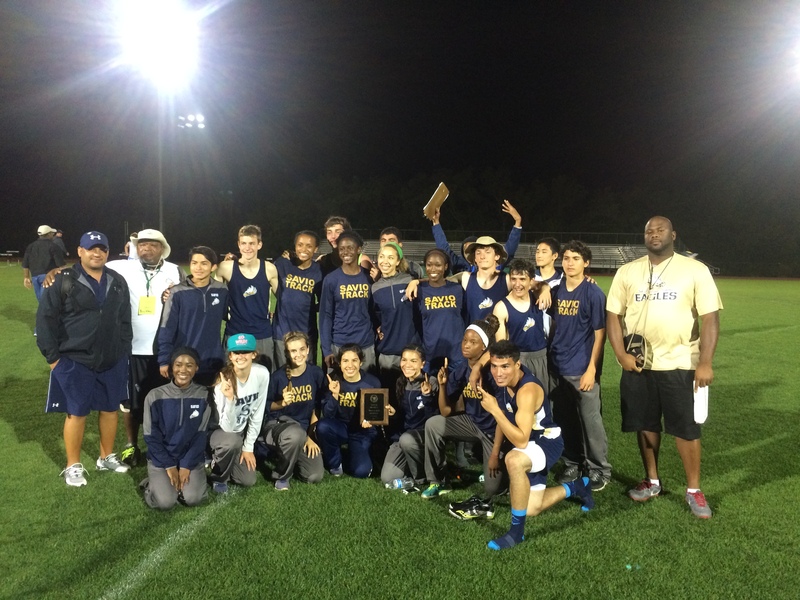 It was history in the making as the Girls Team took home the school's first-ever District Win in Track and Field!! Months of commitment to training were evident as athletes performed at their highest levels of the year. From seasoned upperclassmen to young "up-and-comers", the strength of our athletes' heart, drive, work ethic, and positive spirit shone all across the event. Parents, coaches, and administrators in attendance were bursting with pride in our team. Fans gathered around every field and running event and throughout the stadium the navy and gold numbers of the Savio Track community generated good vibes and loud cheering! Even the rain didn't dim the festive spirits of our team and its supporters. Great sportsmanship was displayed as well, as our athletes joyfully greeted competitors from other teams, shared warm visits with St. Michaels students, politely and confidently conversed with coaches and parents from other schools, and invited competing teams to join in their evening prayer. Our students represented themselves and their school with class and character. And the best news is, there is more to come!!! Savio Track.....on the way to Regionals!!! Happy Earth Day! Today marks the 45th Earth Day in the US. Savio students are taking time to hug the planet throughout the day today. Classes started with a prayer dedicated to our Earth to remind students how we can be good stewards of our environment by reducing waste, recycling, and living sustainable lives at home and at Savio. Heavenly Father, thank you for our life-giving Earth that we celebrate today on Earth Day. Bless all the celebrations, educational programs, and projects that seek to express our appreciation for this great gift. May we be zealous for the Earth not just today, but every day of our lives. Guide us in the monumental and important mission of restoring the integrity of Your creation. We dedicate our lives anew to you and to this great work of our time. This we pray through Christ, our Lord. Amen. This month, Savio Sophomore Sean Grieshop accomplished what most competitive swimmers dream of - the opportunity to compete against gold medal Olympians. 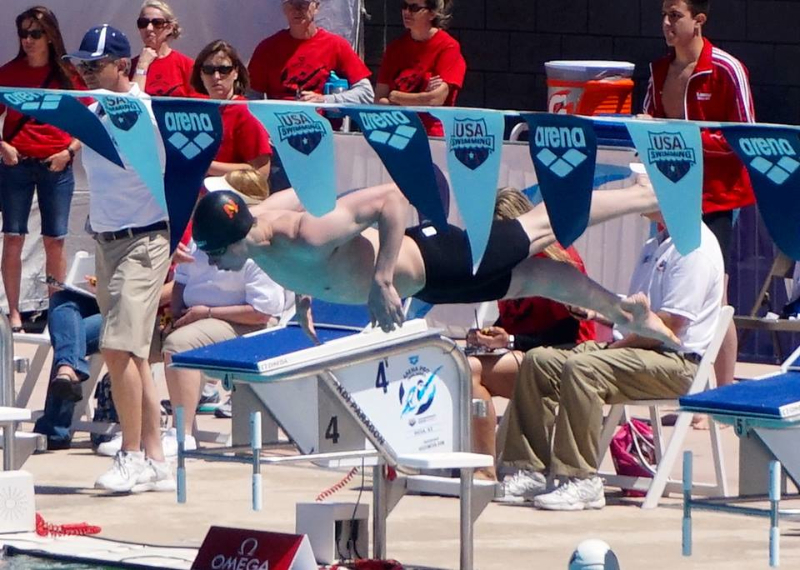 It all happened at the USA Swimming's Arena Grand Prix in Mesa, Arizona the week of April 15th. This long course (50 meter pool) meet is at the beginning of the competition season for Sean. He had just completed an intense weekend at the Olympic Training Center working on stroke, technique and high altitude training. At the meet, Sean swam his usual repertoire of events - the 200 IM, 200 backstroke, 200 breast, 400 free and 400 IM. During prelims of the 400 IM, Sean swam fast enough to earn a return trip to swim during finals that evening. He was seeded fourth. The first seed was 26-year old Tyler Clary, an Olympic gold medalist in the backstroke. Second seed was Conor Dwyer, who at 25 years is also an Olympic gold medalist. Sean took third place in that 400 IM. He also swam finals in the 200 IM, 200 back and 400 free, but says coming in third next to Clary and Dwyer was the highlight of the meet, and his month for that matter! Our St. Dominic Savio Eagles (Zachart Stewart and Clayton Knavel) and Lady Eagles (Savanah Acosta, Brooke Ellis, Shelbie Sagnes, Connor Neill and Shelby Ferraris) traveled to Victoria, TX to compete at the TAPPS 4A Regional Golf Tournament at the Victoria Country Club. All the golfers who were able to see the course on Sunday evening were greeted to very soggy conditions as the City of Victoria had had 18 inches of rain over the past four days. It was a concern if the course would be playable for our Regional Tournament. The rains had let up early on Saturday morning and with the help of strong north winds, the golf course greens keeper and maintenance crew worked their magic to make the course playable for its visitors. Monday morning start of the tournament was great! The course, although not dry was in good shape and looked completely different than it did just the evening before. Play began at 8:30 with the Men progressively teeing off on the number 1 tee and the Ladies teeing off on the number 10 tee. Our Lady Eagles began their rounds at approximately 9:30 and the Eagles began approximately at 10:30. Our golfers played the best they could on every hole, unfortunately it was not meant for them to advance to the State tournament. I wouldn’t be the coach you have come to know if I didn’t leave you with some words. It was a very challenging golf season this year. The weather gave us many challenges and limited our practice times and tournament opportunities. There were also challenges with a new school year as you prepared for college entrance and life in general. As always I have compared this great game of golf to life and I hope that if not today, one day my words and analogies will resonate with you. Every day on the golf course is a lesson on how to navigate through life. Today, I saw athletes accept their challenges, respect the outcome and congratulate those that achieved advancement to the State tournament. I also saw one of you have so much pride in the game that you stood strong in your conviction to the scores you challenged from a playing competitor. I had a conversation with one of you about first tee jitters. All of these things made me proud of being your Coach and proud to know you as an athlete and a person. Despite not advancing, you were happy for those that did and shook hands in sportsmanship. You stood up to controversy in scoring and in doing so ‘protected the field’. And with 'first hole’ jitters, you came to know how much this game really means to you. I hope you all continue to work hard on your game and in all things you do. Remember, your best is the best you can do at that time and in that moment. Whether the score or the outcome is what you hoped for or not, you did your best for that time otherwise you wouldn’t be doing it. All three Savio seniors played a significant role in the Eagles 5-0 shutout over Reicher at home Friday night. Senior Schyler Hallberg struck out 5 Cougars while giving up only one hit in securing the win. Senior Miguel Serrano went 1 for 1 driving in the Eagles first run in the 2nd inning and senior Dominic Kress also went 1 for 1. Sophomore Brandon Rodi went 2 for 3 and John DiGravio hit a double and scored on Serrano's hit. The game was delayed for 30 minutes during the bottom of the 3rd inning due to lightning with the Eagles up 4-0. When the game resumed, the Eagles added one more run before the game was called due to rain during the top of the 6th inning resulting in the 5-0 win. After the game, a ceremony was held inside the school honoring the three seniors (Schyler Hallberg, Dominic Kress, and Miguel Serrano) and their families. Each senior was recognized for his accomplishments on the field and in the classroom and many humorous stories were shared. The ceremony included the dedication of a bench to honor the memory of Joe Serrano, late father of Miguel. Joe was a devoted fan and supporter of the Savio baseball program. The Joe Serrano Memorial Bench will be placed at the Savio baseball field. 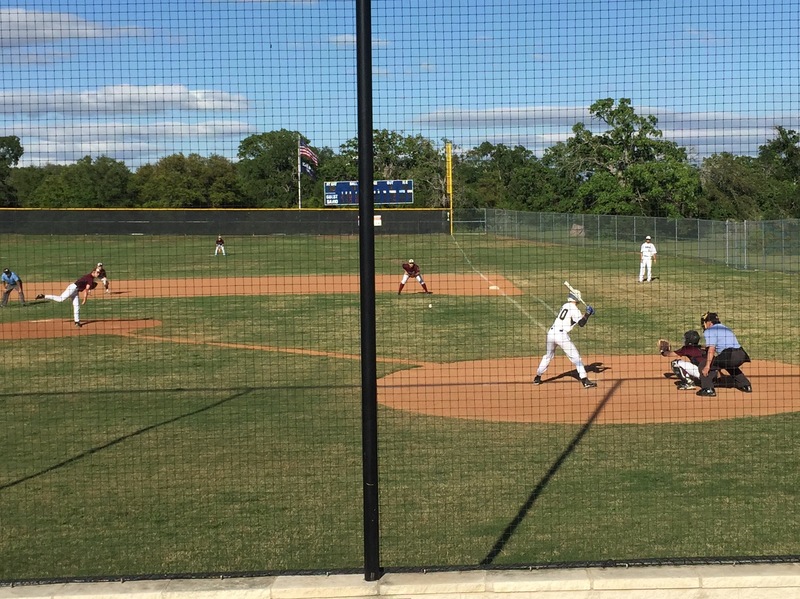 Savio baseball plays at Waco High School in a non-district game on Tuesday (4/21) at 7 pm. The final game of the regular season is Friday (4/24) at Regents. The Eagles Tennis team capped off an historic season competing in the TAPPS 4A State Championships this week. The matches were held under beautiful court conditions in Waco, Texas at the Waco Regional Tennis Center on April 15 and 16. Four boys qualified and represented St. Dominic Savio in the tournament: Jacob Mink, Anthony Vento, Zac Ortiz and Peter Spangler. This is the first year Savio has sent more than one player to the state competition. "The team, as a whole, has had such a memorable season, and our state qualifiers put the Eagles tennis program on the map," Head Coach Garrett Pekar said. Jacob Mink, senior, played first for the team on the tennis center's stadium court. He lost 6-1, 6-2 to Ryan Ramos from Midland Christian School. The points and games in the match were much closer than the final score showed, and Mink even had a lead in the second set. He showed that he could control points against the strong-hitting Ramos. Zac Oritz, senior, and Peter Spangler, junior, gave a terrific fight in their first round doubles match but lost 6-4, 7-5 to Erik Hjelm and Conner Payne of Grapevine Faith Christian School. The boys were highly complemented after the match by the opposing team's coach for their "sportsmanship and integrity" on the court. Anthony Vento, sophomore, accomplished an outstanding feat at the tournament. He is the first Savio tennis player to win a match at the State Championships. Vento won a three-set match in his first round that tested both players endurance. He defeated Daniel Weedon of Tyler Grace Community School 6-3, 1-6, 6-2. "Anthony had to swing the momentum back in his favor after the second set, which isn't an easy thing to do, but he kept his composure and finished the match with confidence," Coach Pekar said. In the next round, Vento faced Aaron Mackie of Flower Mound Coram Deo Academy. The two players had some of the longest and most entertaining rallies of the tournament. Vento lost 6-0, 6-0, but he made Mackie earn every point. "Once Anthony won his first round, I could see how much it boosted our players' confidence. Last year, state was new territory for us, and we were afraid we were outclassed. This year, we took a huge step forward to grasp the fact that we belong there," Coach Pekar said. 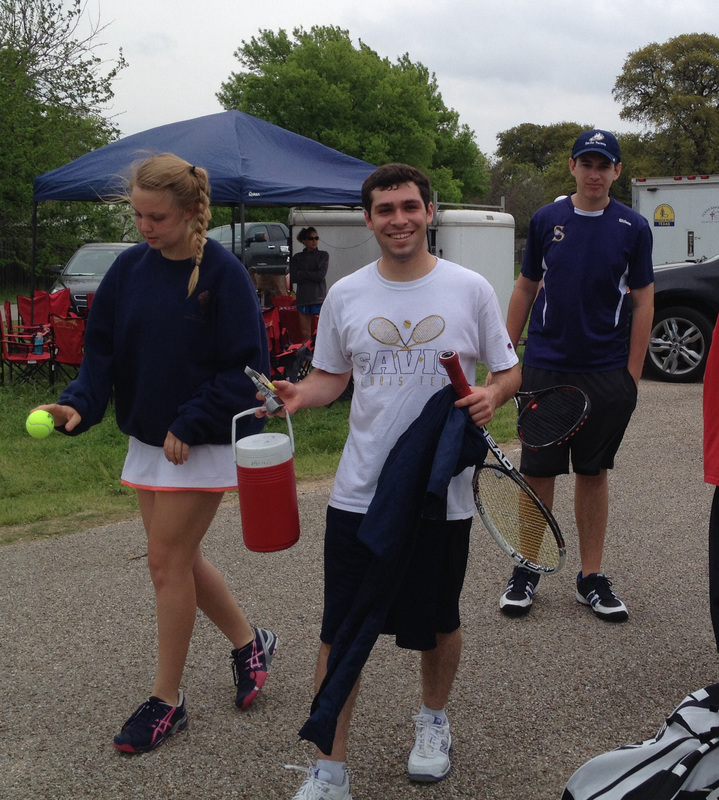 The competitive season may have come to a close, but the tennis team will still be volunteering for the upcoming Special Olympics Tennis Tournament at Balcones Country Club. "The team has grown up a lot this year, both as players and as friends. I'm happy to be a witness to their development and the beginnings of a strong tennis dynasty at Savio," Coach Pekar said. After a successful 2014 Savio Fall Carnival, generous donations to the Fine Arts Departments were made. Many necessary purchases were made for the department and we wanted to share these purchases with the community. In the area of visual arts, Mrs. Robbins purchased the world's first 3D printing pen entitled the 3-doodler and a Fuji Film Instax Printer. In the area of theatre Mrs. Mink purchased a set of new theatre lights. In the area of music Mr. Hammis purchased a flute, clarinet, alto saxophone, trumpet, and trombone. These instruments will be loaned out to students who do not own their own instrument or their instrument is in the repair shop to be fixed. Thank you to all who helped put on the Fall Carnival and the generous donations that were made. We look forward to the 2nd Savio Fall Carnival coming in 2015!! Savio picked up a solid 9-3 win at home Tuesday evening over St. Michael's who was previously unbeaten in district. The Crusaders struck early scoring two runs in the 1st and one run in the 2nd inning. Savio answered with one run in the 1st and one in the 2nd and trailed 3-2 before scoring five runs to break the game open during the bottom of the 5th inning. Dominic Kress pitched a complete game allowing seven hits and striking out four. Marty Sedlacek lead the Savio attack with two of Savio's five hits as the Eagles took advantage of seven Crusader errors. Come watch the Eagles play the final home game of the season on Friday (4/17 at 4:30) as we look to honor seniors Miguel Serrano, Schyler Hallberg, and Dominic Kress. 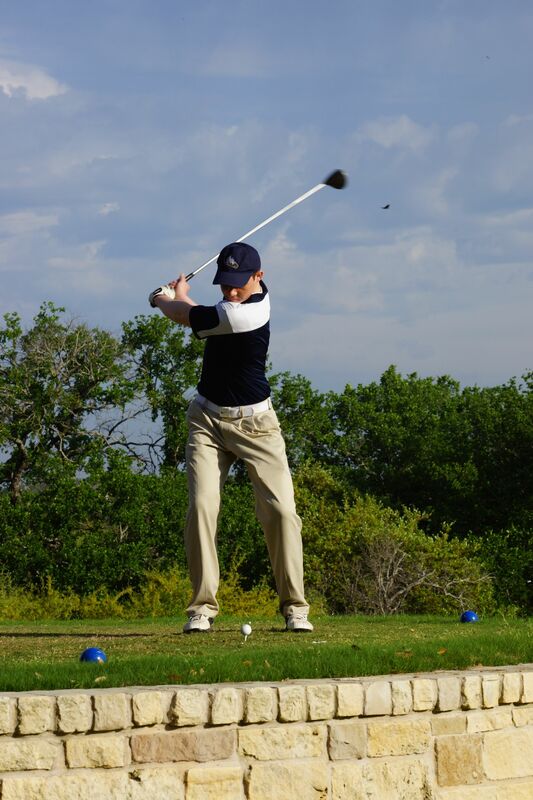 St. Dominic Savio played host to the 2015 TAPPS 4A District 3 Golf Tournament at Teravista Golf Club in Round Rock. 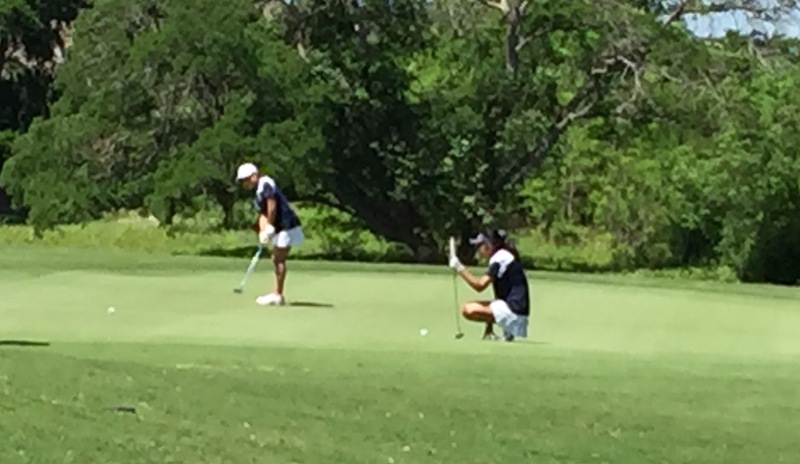 The weather was great, the fairways lush and the greens were true as the Savio Eagles and Lady Eagles took on the challenges of the course to try and advance to the Regional Golf Tournament. Like any Major Golf Tournament there were nerves and anticipation to get the round under way. The Eagles, led by junior Clayton Knavel, were trying to advance for the first time in school history. They were very supportive of one another in the pre-tournament warm up, helping one another get ready to face the challenge of the day. The Lady Eagles (2014 State Qualifiers), led by senior Brooke Ellis and junior Savanah Acosta, were also making sure their pre-tournament preparations were set. The golfers teed off in a shotgun start format at 8:30 am and after the final putt dropped found that their efforts and practice were rewarded. Eagles, Clayton Knavel and Zachary Stewart qualified for Regional honors as they placed in the top overall scoring places. Clayton took 6th place honors overall and Zachary beat out two fellow competitors in a one hole scorecard playoff with a par on the 17th hole to capture 15th place honors and qualifying both to advance to the Regional Tournament. The Lady Eagles, continued their streak to advance to the Regional Tournament for the second year in a row. Brooke Ellis took 2nd place overall and was closely followed by the rest of the Lady Eagles team. Next week, our Eagles and Lady Eagles, Clayton Knavel, Zachary Stewart, Brooke Ellis, Savanah Acosta, Shelbie Sagnes, Connor Neill and Shelby Ferraris, will travel to the Victoria Country Club in Victoria, TX to take on the challenging South Texas course on Monday, April 20th. On Wednesday of Holy Week, the Timothy Team had a mini-retreat day at St. Mary's Convent in Georgetown, hosted by our Dominican Sisters there. Fr. Jonathan Raia gave a great talk, they prayed the Stations of the Cross in the Prayer Garden, and had a Eucharistic Holy Hour with the Sisters. All are welcome to come join the Savio music department for our final Coffee House event of the year on Friday, April 24th, starting at 7:00pm in the Savio Commons. Come enjoy refreshments and the Savio students as they share their vocal, instrumental, and theatrical talents. It will be a fun evening full of musical highlights and memories shared. The Savio vocal and orchestral program received straight 1st division ratings in performance on Friday, April 10, at the Director's Choice music competitions in San Antonio, TX. Both ensembles also received a trophy for best in class above all other music ensembles who competed in 4A this weekend. The day was filled with great memories and musical highlights throughout. The students had a group lunch at the Alamo Fajita Cafe and group dinner in the classic Spaghetti Warehouse. We finished the day off with a spectacular evening concert by the San Antonio Symphony Orchestra in their brand new HEB Performance Hall in the Tobin Center for the Performing Arts. It was an epic performance of the Estancia Ballet by Alberto Ginastera, among other great works. This completes our competition season for the music program for the 2014-2015 school year. Congratulations to all of our music students who performed. To the senior's class, you had a great run! Bravo!! 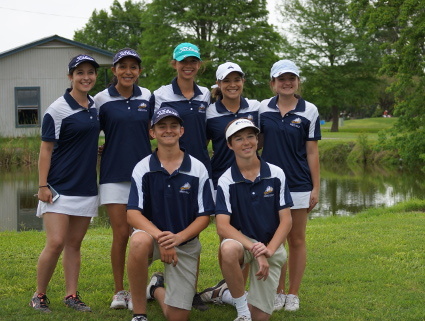 The Eagle and Lady Eagle Golf teams played their final regular season tournament on Monday. The tournament hosted by Hyde Park, was held at the beautiful and challenging Avery Ranch Golf Club. The weather was great, however the players felt the breeze as the winds did gust a bit. Overall, there were improved scores and growth in confidence as our golf teams continue to find and own their swings. The Eagles scores are improving as they continue to battle and find their way into the winners bracket. The Lady Eagles are also improving and continue to battle. They did find themselves in the winners bracket with another 2nd place Team finish compiled by Shelby Sagnes (3rd Place Overall), Savanah Acosta (4th Place Overall) and Brooke Ellis (5th Place Overall). The Eagles and Lady Eagles will compete in the years first Major - Our TAPPS 4A District 3 Tournament. To move onto the Regional Tournament, our Golf Teams will have to Place in the Top Four as a Team or in the Top Ten Overall individually. Our Eagles and Lady Eagles would greatly appreciate anyone who can come out and support the teams. 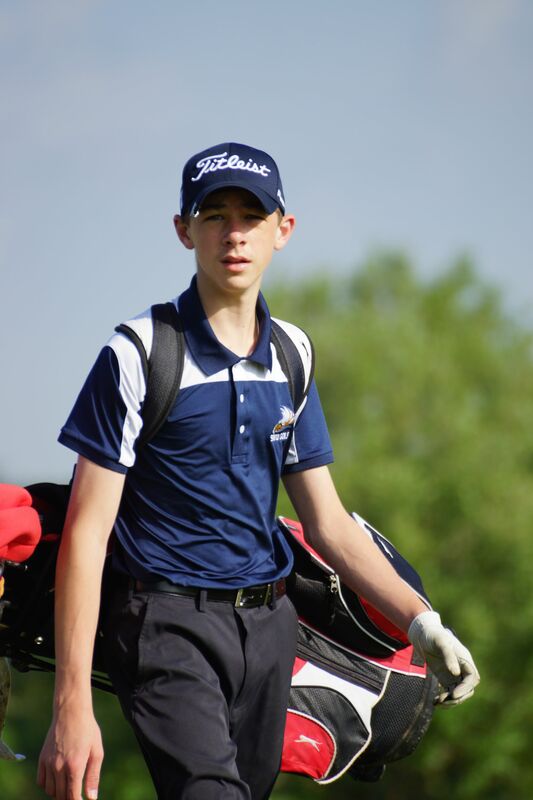 St Dominic Savio will be hosting the District Tournament at Teravista Golf Club on Monday, April 13. Players will tee off on their respective holes at 9:00 am. The Savio boys and girls tennis teams set new "firsts" for the school at this year's district tournament. 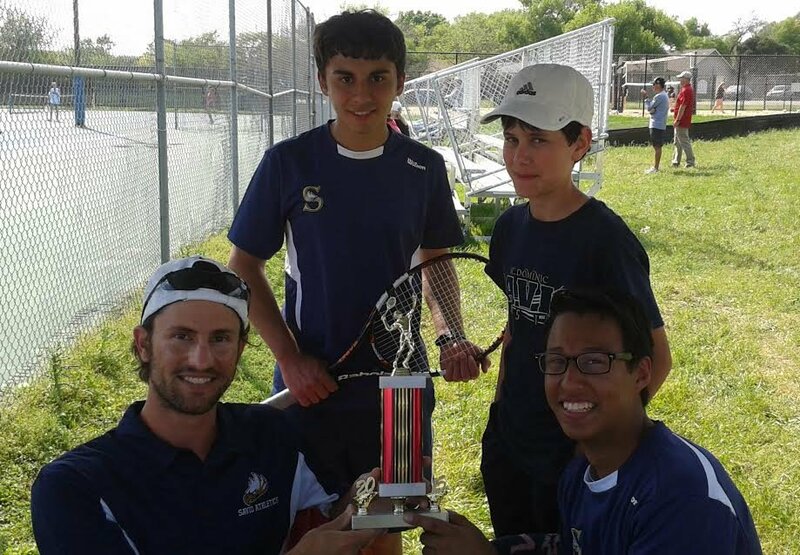 For the first time since the formation of a tennis team at St. Dominic Savio Catholic High School three years ago, the team decisively won the second place team award in the tournament. This award was given based on points accrued across all boys and girls events. "The team has dedicated a lot of time and energy in and out of practice to not only improve their tennis game since last year, but also to strengthen relationships of friendship and support between players. It is amazing to see their commitment to hard work pay off," Head Coach Garrett Pekar said. The tournament, held at Hyde Park High School, lasted from March 31 to April 1. By the end of two long days of competition, many Eagles players earned top places in their events. Zac Ortiz, senior, and Peter Spangle, junior, won first place in boys doubles after winning their final match in a tie-breaker over a duo from Regents. This is the first time Savio has ever taken first in a district tennis event in school history. The boys singles players also had a strong showing. Anthony Vento, sophomore, won second place in singles. In the tournament finals, he improved his performance over the pre-district tournament by leaps and bounds. Jacob Mink, senior, won third place in singles in a match that tested his physical endurance and his mental toughness. Calvin Nazareth, senior, and Nicky Butler, sophomore, won first place in consolation boys doubles. The two battled injury and illness throughout the tournament to still compete strong. In girls singles, two of Savio's own will meet in the consolation final. Michaela Ratcliff, senior, and Allison Meskill, junior, still have to finish their final match, but fortunately, a Savio victory is assured. "The boys and girls competed well all tournament and all season," Coach Pekar said. "It came down to every match we won to earn second place as a team, an accomplishment for which I am proud to congratulate the team." The top three places in each event in the district tournament have also qualified for the state competition. Ortiz, Spangler, Vento, and Mink are all headed to the state tournament in Waco on April 15. 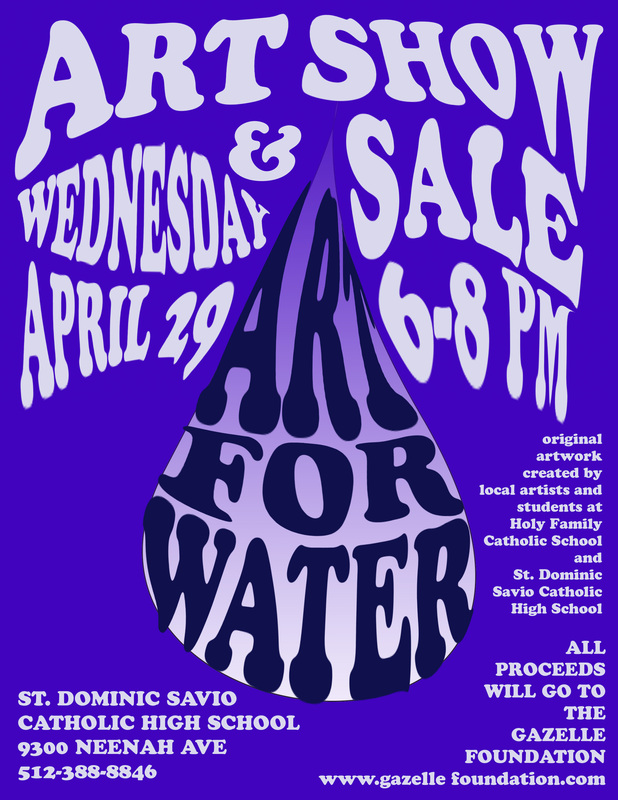 St. Dominic Savio is happy to announce the 3rd Annual ART FOR WATER show and sale will be on Wednesday, April 29 from 6:00-8:00 PM. Please join us to view and purchase original works created by students grades K-12. 100% of the proceeds from the show will be donated to The Gazelle Foundation (www.gazellefoundation.org) to build water wells in Burundi, Africa. Every $25 raised will provide fresh drinking water for one person for the rest of his or her life. Buy a painting - Save a Life! !